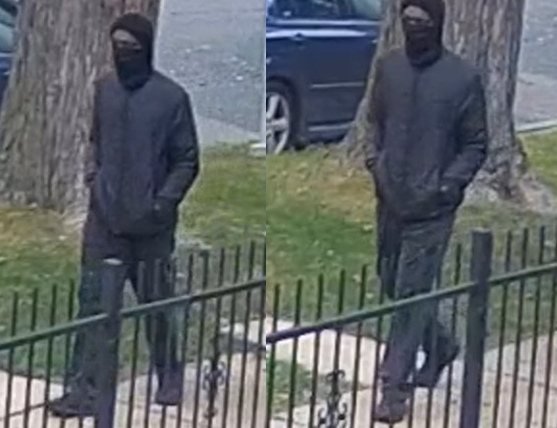 • Police released video of the suspect as he walked the final few yards before fatally shooting Willard “Douglass” Watts in the 1400 block of West Sherwin around 10:07 a.m. on Sunday. Also released was video of the man running down a nearby alley after Watts’ slaying. • Police pointed to the suspect’s unusual walking style as a feature that may help with his identification. The man walks with his feet pointing outward, police said. • Police believe the shooter lives in the Rogers Park area or nearby. An officer told the crowd “somebody in this room” likely knows the killer. • Investigators have more information and images than have been released to the public, but no clear motive for the killings has been found. • Over 40 detectives are assigned to the shootings of Watts and the subsequent killing of 24-year-old Eliyahu Moscowitz in Loyola Park on Monday night. Police on Tuesday said the same gun killed both men and they believe the same man did, too. Facts first. 100% reader-funded. No influencers. Please support CWBChicago today.